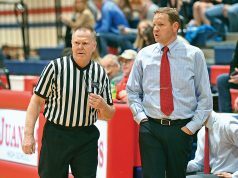 Matt Austin, Louisville, Ky., is a Southeastern Conference football referee who has worked in the league for 10 years. 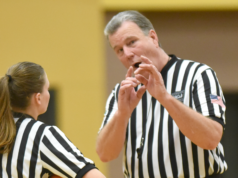 Through a quarter-century of officiating, he’s come to grips with his own personal approach to handling nerves before a big game. As the white hat, however, he acknowledges he has to make his approach work to stabilize everyone on his crew. “I treat every game the same,” says Austin. “I know that sounds like a mantra or the company line, but it’s really not. To keep everyone focused, Austin says, he uses the same approach to game preparation every week. It begins on Friday night with film review, discussion of the observer’s comments and an analysis of the upcoming teams’ tendencies and formations. He makes a point of having everyone on the crew lead part of the discussion. The intent is to have everyone feeling prepared and engaged before they get to the field. 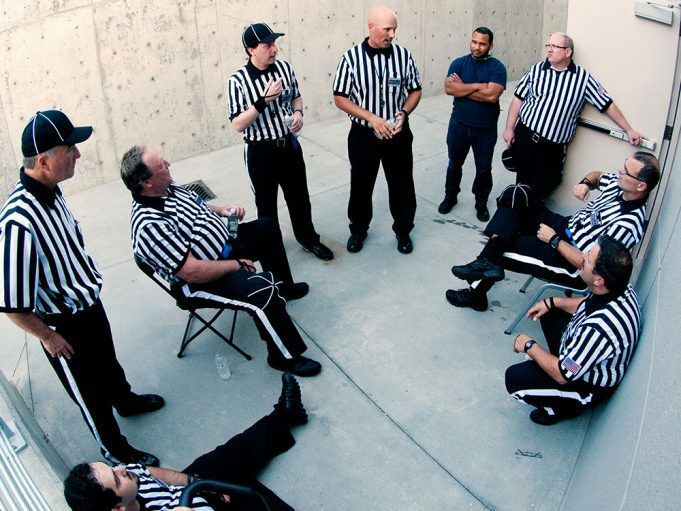 On Saturday, everyone has a job prior to the game and there’s little time to ponder what might happen.